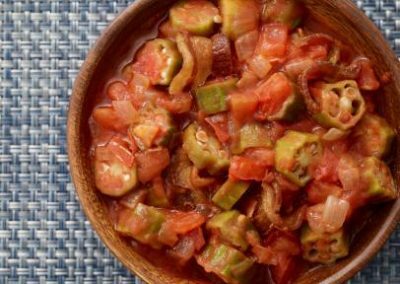 I love okra and tomatoes, but I find people are either on one side of the fence with this dish or the other – no middle ground on people’s opinions of okra! 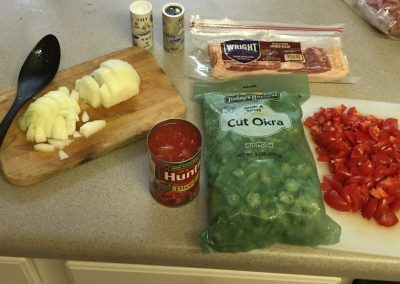 My husband isn’t a fan, so I don’t fix it that often as a result, but I’m preparing lots of other dishes he’ll like, so I can enjoy this dish guilt-free! 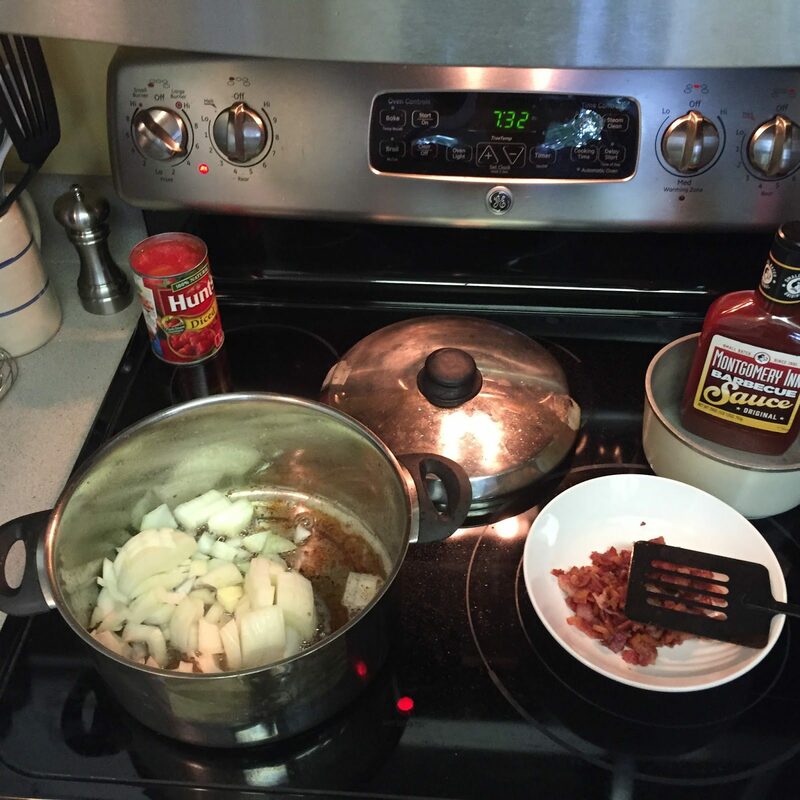 In a heavy bottomed saute pan over medium-high heat, add the bacon. 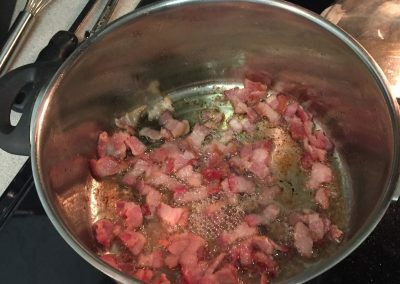 Render the bacon until crisp. 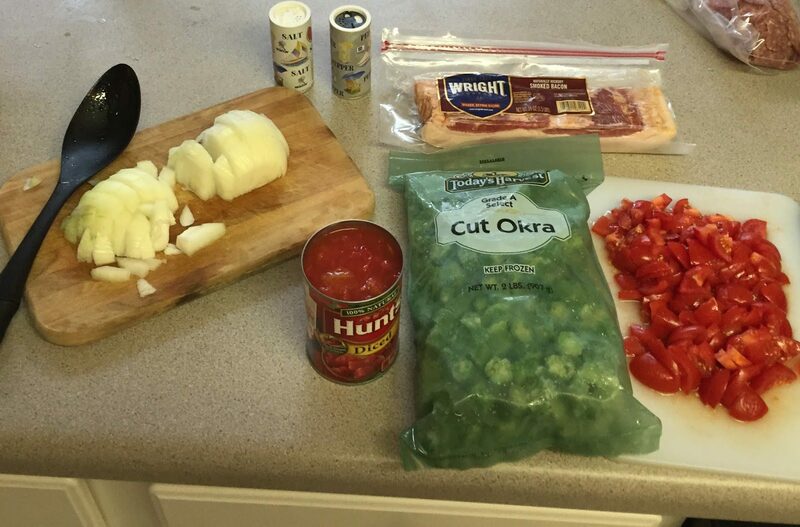 Remove from pan and reserve. 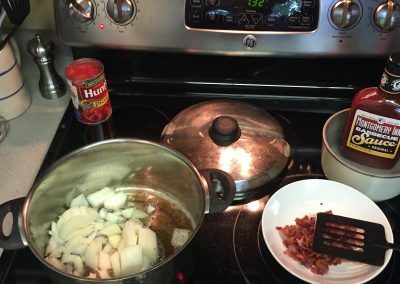 Add the onion and saute until tender, about 3 minutes. 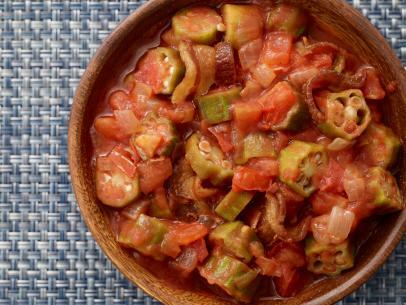 Add the okra and tomatoes, making sure to add the reserved juice from the tomatoes to the saute pan. Season with salt and pepper and simmer for 15 minutes. 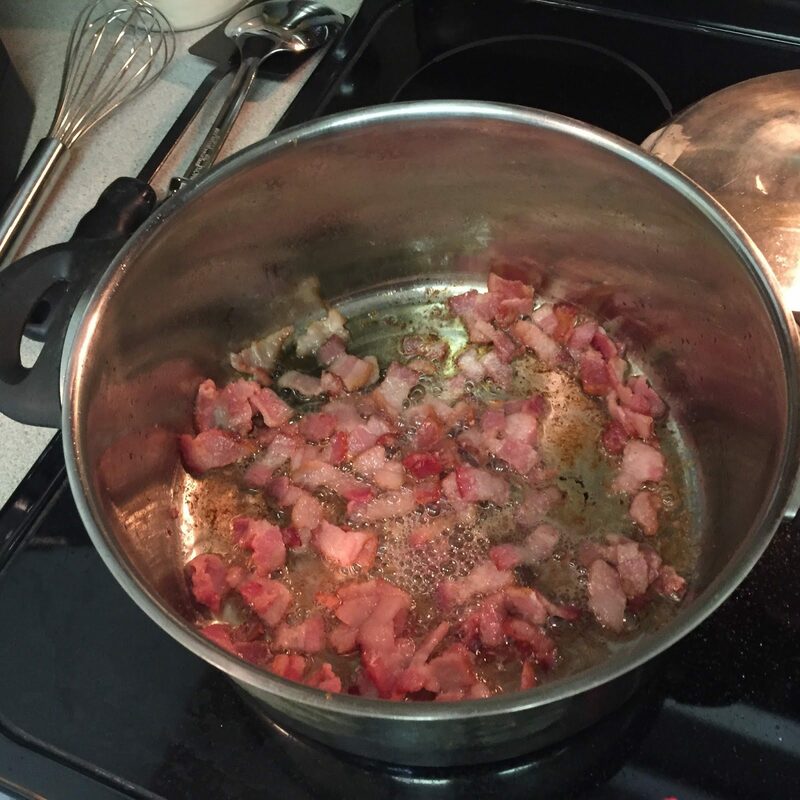 Cook’s Note: If needed, add water or chicken stock if the pan becomes too dry.